The official iPhone app for offices powered by Robin. 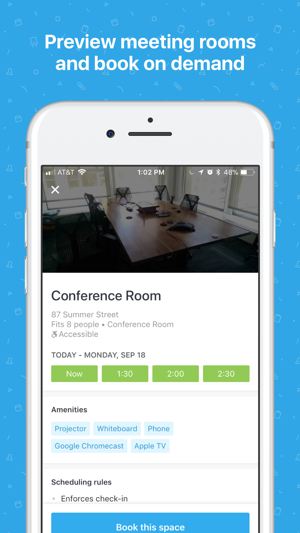 Robin's mobile app is the easiest way to schedule your workday from wherever you are. 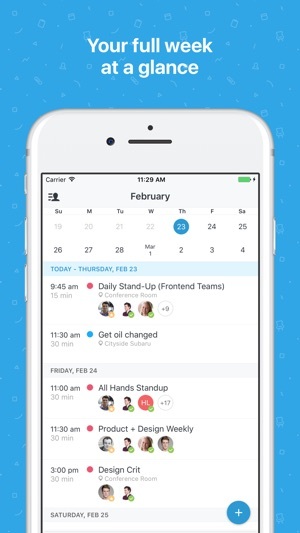 Manage your weekly schedule, from your morning spin class through your team meetings and dinner plans. 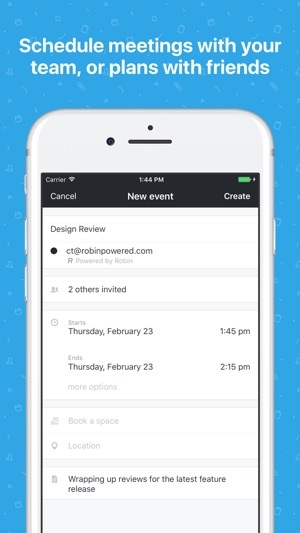 New events created through Robin are instantly reflected on your existing calendars (and vice versa). Planning a presentation for 5 people at 2pm next Wednesday? Search your office to find the best meeting room for your event. For last-minute planners and ad hoc events, find what spaces are available now. 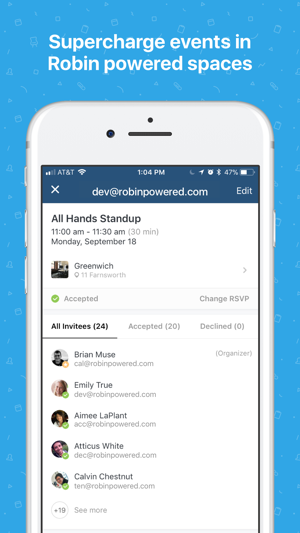 Events booked in Robin powered spaces include notifications, meeting integrations, and additional management controls to help keep your workday on track. This is a companion app to Robin's web and tablet apps. It requires an account on Robin. We're constantly improving the app with new features and fixes. Check the in-app changelog to see the latest changes. It's so much easier to use this app to book. I can schedule on my phone on the fly. 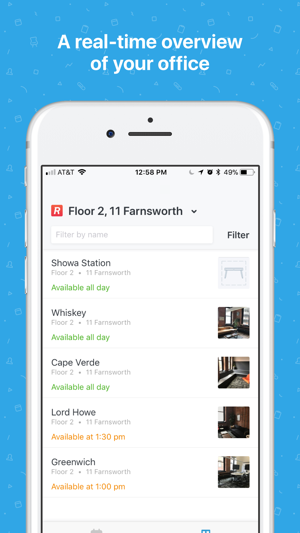 There's a cool related app from same company that shows if a room is booked or free on a tablet at the door. Does the application has the ability of linking all the calendar for an organization or company and show the all the meeting for a day at once? Or it only linked to personal calendar?